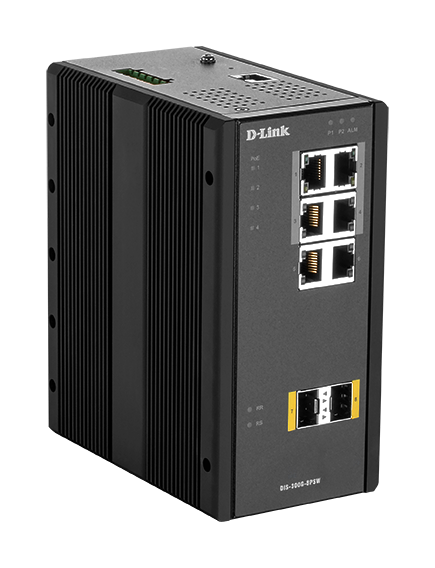 Featuring management interfaces, including an industry-standard CLI, and Web-based UI, the DIS-200G Serie is easy to manage and provides the controls to help protect and shape your network. 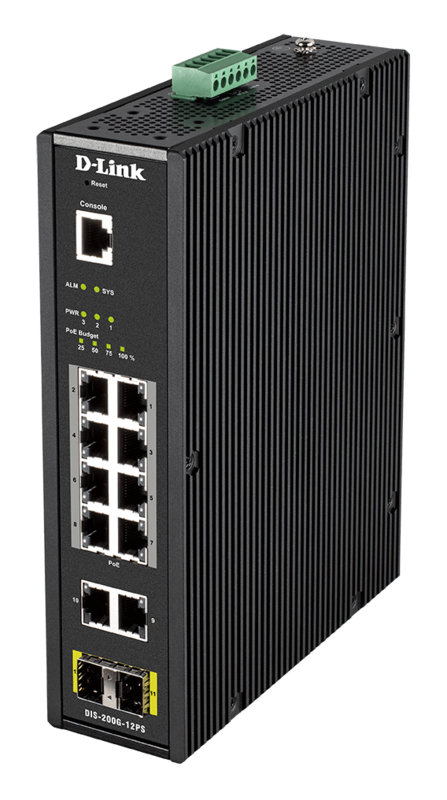 Designed with 8 x 10/100/1000Base-T PoE ports, 2 x 10/100/1000Base-T ports, and 2 x SFP ports to suit a range of devices and network layouts. 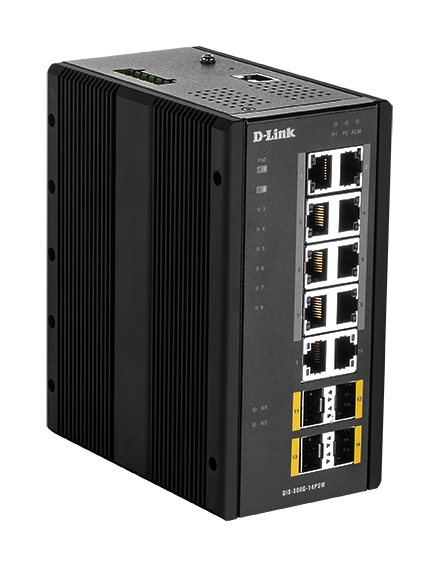 Certifications for vibration, shock, free-fall, electromagnetic, and high-capacity 6 kV surge protection on all copper ports to maximise network uptime in harsh deployment environments. Operates effortlessly in a range of industrial and harsh environments in temperatures from -40°C to +65°C. 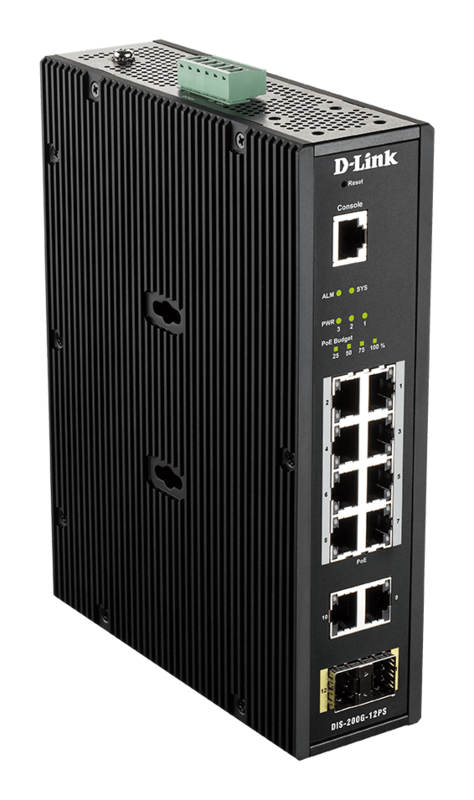 With its 240 W PoE+ power budget1, it’s been designed to supply data and PoE power to compliant devices, which removes the need for unnecessary plugs and cables and reduces deployment time and effort. ERPS quick failover recovery for ring topologies that ensures minimal downtime and avoids any loss of data in mission-critical deployment settings. 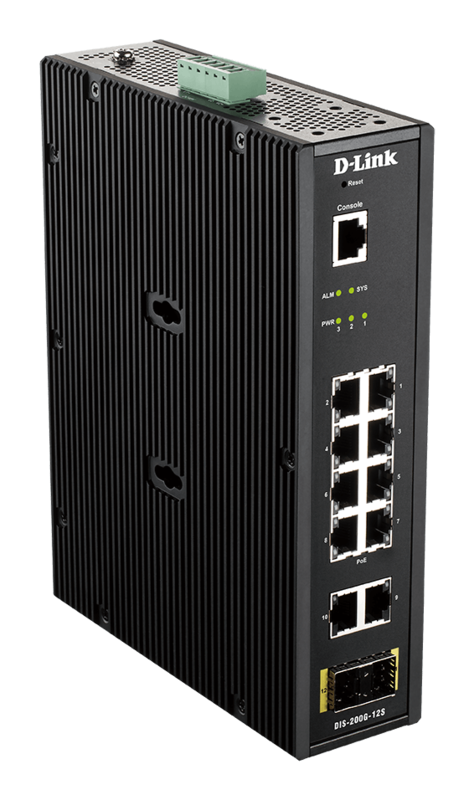 Supports Auto-Surveillance VLAN (ASV), automatically detecting surveillance devices and putting them into a dedicated surveillance VLAN, increasing security of surveillance data, and giving the traffic a higher priority. Small but mighty. To make the most of cabinet space, it measures: 48 x 210 x 171.2 mm.